For those who simply can't get totally on board with veganism, it usually comes down to the fact that we're unwilling to give up certain things. While we might agree with most of the tenets of the practice, we just can't see ourselves forgoing that juicy piece of filet mignon if we find ourselves out at a top restaurant. If this sounds familiar, it may be time to tap into an eating strategy that seems to have found a strong celeb following: being part-time vegan. Kate Hudson recently admitted to this eating plan, confessing to Self that she sticks to veganism most of the time, but she will make exceptions if the occasion calls. 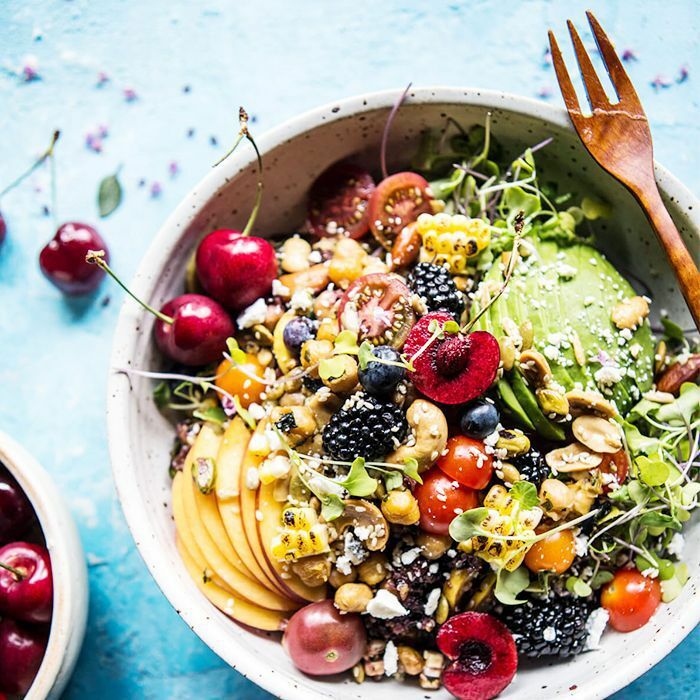 "If you like meat, to be predominantly plant-based is great for you," says the author of Pretty Happy: The Healthy Way to Love Your Body and who's tried every diet from Paleo to pescetarianism to vegetarianism. "So why not be predominantly plant-based and every once in a while if you go to a great steakhouse, have a steak? I kind of try to look at it like that." Hudson's favorite go-to when she's adhering to her veganism is the Impossible Burger from Crossroads Kitchen in Los Angeles. "It's one of the greatest things. It's so good," she describes. "It's crazy how they've been able to do that—it tastes just like a regular burger." Still on the fence? Here are five logical reasons veganism will change your life.